Lawmakers in the country passed the Cannabis Act earlier this week, setting the country up to regulate the market in the coming months. Prime Minister Justin Trudeau announced Wednesday that legalization will begin on Oct. 17. The country is the second to legalize the substance nationwide, after Uruguay. The federal minimum age for marijuana use in Canada will be 18, but some provinces are setting their own minimum age at 19, which is the drinking age in most areas. Provinces are also creating their own regulations regarding pot shops, home-growing and taxes. Medical marijuana, which has been legal in Canada for nearly 20 years, has been available through the mail since 2013. If you're going to smoke it, you might as well just grow it yourself. It would be way cheaper. TORONTO — Canadian Prime Minister Justin Trudeau has a message for refugees rejected by U.S. President Donald Trump: Canada will take you. ...and now a Canadian language lesson for today. Translation: "and now a Canadian language lesson for today." Sorry, I don't know enough French to also supply that official language alternative. Well, you've done half the work, someone else can finish it off. There is the not so slight matter of having different governments. The article inked below is a bit of a puff piece on behalf of Mr. Trudeau. Still it has some interesting anecdotes and background information. Be warned the full article is a bit long by the standards of what I normally link. (Rolling Stone) Let’s begin by synchronizing our watches. We are in the Eastern time zone. The legislative session is over, and Canadian Prime Minister Justin Trudeau is about to give his wrap-up press conference. The reporters trudge into the gallery, grumbling, as reporters like to do, about traffic and editors. Someone gives the “10 seconds” signal, and Trudeau strides to the podium. He gives a nod and starts ticking off his accomplishments. The first is self-praise for cutting taxes on the middle class and raising them on the one percent. “We’ve given nine out of 10 families more money each month to help with the costs of raising their kids,” Trudeau says. It’s strange to witness: He speaks in a modulated, indoor voice. His dark hair is a color found in nature. At home, there is a glamorous wife and three photogenic children, still not old enough to warm his seat at next week’s G-20 summit or be involved in an espionage scandal. It looks like the United States and Mexico are not the only North American countries with a border problem. (CNN)There was a jarring sense of déjà vu last week in Canada as images of yet another attack on innocent civilians in Toronto played out on newscasts. A reportedly mentally ill manwent on a gun rampage on Sunday evening in Toronto's popular Danforth neighborhood, killing two people and injuring 13 others. The attack occurred less than three months after a man drove a van into pedestrians in another busy part of Toronto, killing 10 people. And those were just in 2018. In January 2017, in Quebec City, a man using a restricted firearmkilled six people and injured others. And in September of that year, in Edmonton, a man carried out a stabbing and van attack, injuring five. According to Toronto police, up to half of the guns on the streets of Toronto are smuggled in from the US, and the Canada Border Services Agency is routinely seizing illegal firearms at the Canada-US border. (Media reports say the semi-automatic handgun used in last week's Sunday shooting originated in the US, although Canadian-sourced illegal firearms arms are a big part of police seizures as well). And these stories are not just anecdotal. According to the Canadian government, the number of homicide victims killed by firearms has been steadily increasingover the last three years. With gun violence on the rise in North America's fourth-largest city, the government of Prime Minister Justin Trudeau must now contend with growing calls for a crackdown on guns in Canada where, unlike in the US, people do not have a constitutional right to bear arms. The surge in violence on Canadian streets adds to the list of issues Trudeau is going to have to deal with as he prepares for a federal election next year. 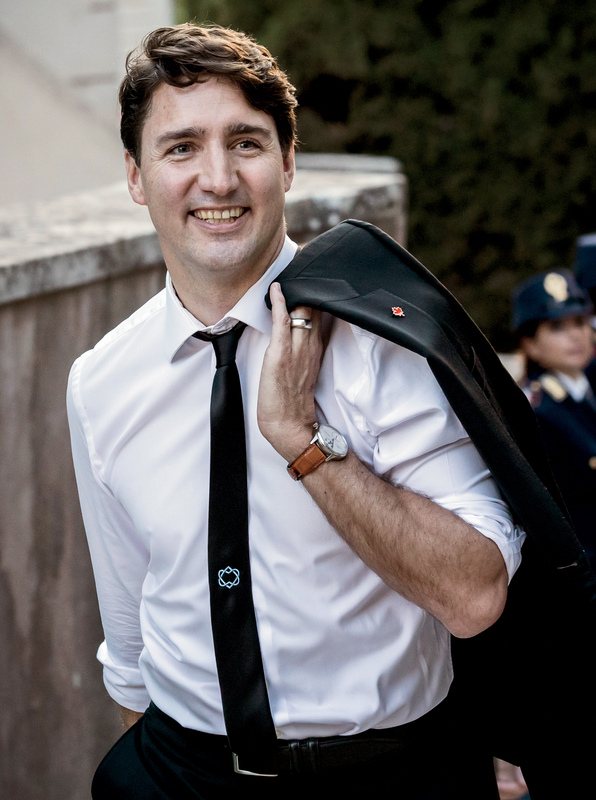 Just three years into his mandate, the photogenic Trudeau must juggle a host of controversies that have hurt his popularity. Introducing a possible handgun ban in response to the violence and adding a new post for "border security and organized crime reduction" in a cabinet shuffle on July 18 are some of the ways Trudeau is getting battle ready. I honestly think a lot of these shootings are intelligence operations. Was the reason this man went on a shooting due to the fact that he was mentally ill, or was he just bitter that he ended up spending most of his life in the mental health system? What some may not realize is that there is a intimate relationship between psychiatry and the agencies. Some say that the CIA even wrote the DSM manual. Now what if the intelligence agencies could gas light an individual (Ie. make them think they are going crazy), and make it look like mental illness, in order to provoke some kind of violent outburst, the sole purpose of which is to further restrict the public's freedoms? Problem, reaction, solution. Canada has an estimated population of 37.1 million (July 1, 2018). This update is based on the 2016 census. This is a 520,000 increase from the prior year. Canada has increased its immigration quotas. Canada increased immigration quotas to 310,000 in 2018, 330,000 in 2019 and 340,000 in 2020. Canada will pass the population of Poland in 2020. Canada population will be 40 million in 2023. An official in the Trump administration privately referred to Prime Minister Justin Trudeau as “that little punk kid running Canada,” another Trump official said at an event on Wednesday. Larry Kudlow, Trump’s chief economic adviser, recounted the story at an invitation-only dinner hosted by the American Spectator, a conservative magazine. 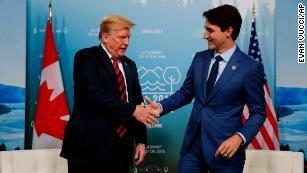 According to the Washington Examiner, which was in attendance, Kudlow said that one of his friends in the White House, “who will go unnamed,” said they were pleased they had managed to come to a trade agreement with Canada — despite Trudeau. Canada will bring in 350,000 immigrants in 2021 — a 40,000 jump from this year’s target, the federal government announced on Wednesday. As debate rages in the United States over immigration, with fear mongering around a “migrant caravan” dominating the lead up to midterm elections, Prime Minister Justin Trudeau is signalling a different direction. OTTAWA - The Canadian air force is increasingly running short of combat-capable fighter jets and pilots and government attempts to address the problem have only made it worse, the nation’s top watchdog said on Tuesday. The report is another blow to a decade-long, trouble-plagued attempt by successive administrations to replace Canada’s CF-18 jets, some of which have been flying for almost 40 years. (The National) Canada Prime Minister Justin Trudeau fired his ambassador to China after the envoy said it would be “great” if the US dropped its extradition request for a Chinese tech executive arrested in Canada. Mr Trudeau said that he had asked for and accepted John McCallum’s resignation on Friday night. Mr McCallum made the remark to the Toronto Star on Friday. That came a day after he issued a statement saying he misspoke about the case earlier in the week and regretted saying Meng Wanzhou has a strong case against extradition. The US wants her extradited to face charges that she committed fraud by misleading banks about Huawei’s business dealings in Iran. Treasury Board President Jane Philpott has resigned from Prime Minister Justin Trudeau's federal cabinet, saying that she has lost confidence in the way the government is handling the ongoing SNC-Lavalin scandal. In a statement posted to her MP website, Philpott said that the recent events, including the SNC-Lavalin scandal, "have shaken the federal government in recent weeks and after serious reflection, I have concluded that I must resign as a member of cabinet." Trudeau has been facing calls to resign after former attorney general Jody Wilson-Raybould testified at the House Justice Committee last week that she faced high-level "veiled threats" and "sustained" political interference in the criminal prosecution of the Quebec construction and engineering company.